There are two components in an accident case. One of these components is the damage to an individual, which takes the form of medical bills and lost wages. The second component is property damage, which consists of required repairs to one’s vehicle. Springfield Injury Law assists personal injury clients with property damage claims even though many other attorneys are not willing to do so. If you have suffered damage to your property due to the negligence of another then Attorney Tom Kapstrom will assist you as property damage attorney. Property damage issues are more common than many realize. These are often cases where there has been a car accident and no one was injured. Repairs to a vehicle, however, may run thousands of dollars. Insurance companies will dispute these types of cases just as they will any other other personal injury case. While insurance companies are quick to deny such claims, they often change their tune once a property damage attorney becomes involved. Hiring a lawyer can often result in you receiving the necessary funds to fix your car. If you are in a dispute over property damage done to your vehicle then it will be of benefit to contact an attorney. 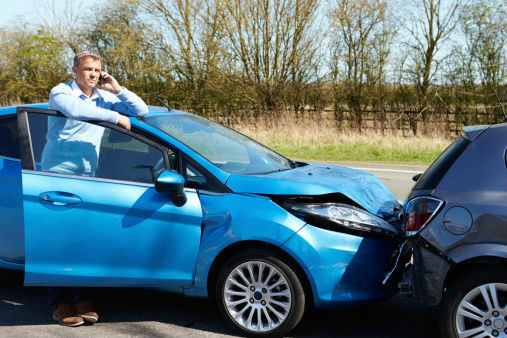 Springfield Injury Law handles property damage matters on behalf of his car accident clients even though many other attorneys in our region do not. Tom recognizes that one’s vehicle is important and any damage to it can impact the ability to earn a living as well as one’s family life. Once retained Tom will quickly obtain all of the vehicle’s repair estimates and demand payment from the insurance company. If your vehicle was damaged then you do not need to simply accept a “no” from the insurance company. Tom will assist you as part of your case. It is common for personal injury lawyers to not help clients with property damage claims even when the client has been injured. In such circumstances the attorney will deal with the personal injury portion of the case and leave the client to fend for themselves in regards to getting the vehicle repaired. By assisting clients as a property damage attorney, Tom is able to ensure that people get their lives back to normal as soon as possible. Tom will assist with property damage in cases involving car accidents, rear-end collisions, stop sign accidents, right-of-way car wrecks, and distracted driving accidents. Contact Springfield Injury Law today for a free case assessment.